Paint Your Stein with Kurio Kastle. 07 Dec Paint Your Stein with Kurio Kastle. 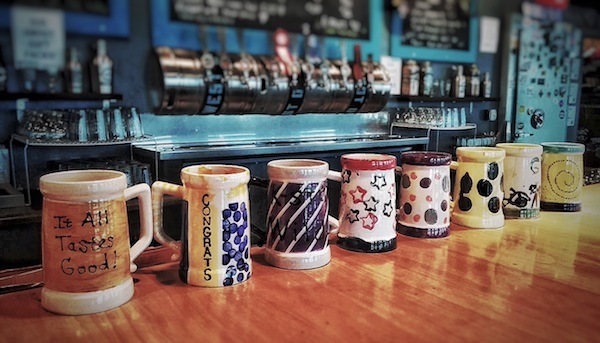 How about a one-of-a-kind stein for the beer lover in your family? Join us AGAIN on December 13 at West O and unleash your inner artist with Kurio Kastle. Kurio Kastle makes it easy to decorate your stein, then they fire it to make it a permanent work of art. Bonus: Kurio Kastle is planning special items for the kids. Ask in the tasting room to get signed up. Only $29 (includes tax.) Christmas is upon us. Literally.